Cotonou (Agenzia Fides) - "Surprised and dismayed". This is what the Bishops of Benin say after the news published by a local newspaper, about their alleged invitation to the faithful to vote for Lionel Zinsou regarding the ballot of March 20 for the presidential election. A fact that has been strongly denied by His Exc. Mgr. Antoine Ganyé, Archbishop of Cotonou and President of the Episcopal Conference of Benin, in a statement which he himself read in public. 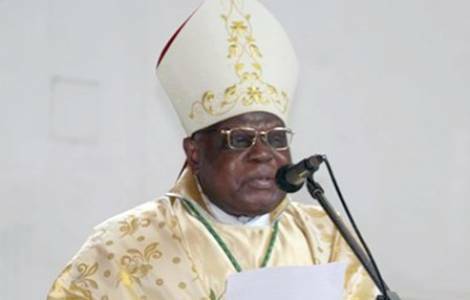 "With this statement, the Episcopal Conference of Benin formally denies this information", said Mgr. Ganyé, who reiterated the indications presented by the Bishops in the pastoral letter "Presidential elections under the gaze of God" in January 2016. "The Episcopal Conference of Benin - recalls Mgr. Ganyé - invites the sons and daughters of Benin to vote in calm and peace according to conscience enlightened by God's light and love of Country". The pastoral Letter offers some recommendations for choosing the candidate, who must "have fear of God, good social management capacity of public goods, have sufficient knowledge of the realities of the Country, is a patriot, with a good intellectual level, and has the ability to monitor the application of laws".